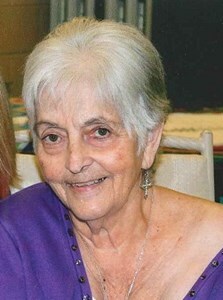 Osterholt, Mary K (Kay), 90, Fortified with the Sacraments of Holy Mother Church passed away on March 20th, 2019. Beloved wife of the late Nick Osterholt Sr.; Beloved Mother to Nick Osterholt, Jr. (Jody), Tom Osterholt, Jim Osterholt, Sr. (Sharon), Tim Osterholt, and Kathy Nix, a brother Mike Beatty Sr. (Mickey), 19 grandchildren, 36 great grandchildren and a host of other family members and friends. She was preceded in death by her parents, John L and Marie Beatty, brother, John (Jack) L Beatty, Jr., sister, Audrey Demas. Loving Mother, Grandmother, Great Grandmother, Sister and Aunt who always had time for everyone with a beautiful smile, kind words and warm heart. She will be greatly missed. Visitation will be from 4:00 pm until 8:00 pm Monday, at Newcomer Funeral Home. Mass will be 10:30 am Tuesday, March 26, 2019 at All Saints Catholic Church. Burial will be Friday, March 29, 2019 at Calvary Cemetery. Memorial Donations may be made to SSM Hospice 12312 Olive Boulevard Suite 400 St. Louis, MO 63141, the All Saints St. Peters Funeral Luncheon fund, or to the Special Olympics of Missouri 2945 S Brentwood Blvd, St. Louis, MO 63144. Add your memories to the guest book of Mary Osterholt. My mom was beautiful smart caring loving and always there for everyone she met . She was so full of life and loved life every single day . She was such a caring and understanding mother .There are so many stories to tell that shows you what a wonderful mom she always was here’s just one .My first day of first grade at the Catholic school Saint Jude I was very nervous to go to school .I was waiting outside for school to start checked the door it was locked . So what did I do ran home told my mom school was not open that day it was closed . With that beautiful smile and some kind words she took me back up to the school brought me to my class and went home . She never said another word about it. That’s the kind of mother she was. I miss and love her so very much . I know she’s in a better place now and with dad God bless you mom . The first time I met her she was so sweet and ready to welcome me into her family. She always smiled as she called me honey. I will miss that smile and will love you always mom! When I think of my mom I think of her infectious smile and her inviting Irish laugh. Which brings to mind this memory. My mom and Aunt Dee’s laughing in harmony. It happened many times but one particular day that stands out was when we were kids. My brothers, sister and Pete, Mark and Lisa (Demas cousins) were all gathered around a record player spinning over and over again the “hello Mother” “hello Father” song by Allan Sherman. I know. A far cry from all the gadgets kids have today right? Just thinking back to that day I can honestly say I enjoyed hearing those two laughing “together” more than the song itself. I’m sure now that their back together in heaven all the angels would agree with my assessment. We love you Mom. Never stop laughing. Please give Dad a hug for us! Miss you forever.